Standard scales can meet a broad variety of requirements. Whether you are looking for bench scales, floor scales, or drum scales, there is a good chance that we have an existing model that is close to what you are looking for. However, if you have very specific requirements for a scale, or a close fit will not work for you; customization is a route you should explore. Arlyn Scales has been a leader in the scale industry for the past thirty years. During that time, we have learned an amazing amount about how a scale works, what components go into it, and how to build the best scale possible. We design and manufacture our scales in Long Island, New York. Because we’re a completely US based operation, we’re able to ship factory direct to our customers rather than working with a distributor. Shipping factory direct to you saves you a lot of money since we have completely eliminated the middleman, who only serves to drive up prices. We also save money and are able to reinvest that money into our manufacturing process. This means you get an even higher quality scale that can’t be matched by our competitors, even at their normal retail price. Whatever your business needs, Arlyn has a scale to meet them. With customization, we can offer you better control over the design of your scale. Standard scales may have some characteristics you want, but lack other characteristics you need. There are many reasons you may want to customize your scale particularly concerning capacity, durability, accuracy, connectivity and size. You may find your scale requirements include a higher capacity. 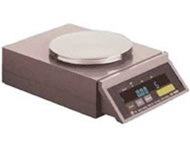 Lab scales, in particular, require extremely precise weight measurements, but they generally have a capacity of 5 lbs. By using Surface Acoustic Wave (SAW) technology, we have been able to manufacture a line of Ultra Precision scales with higher than usual capacities. Our internationally patented innovation uses special alloy SAW load cells. SAW load cells measure displacement, unlike standard load cells, which measure stress. Because of this, SAW load cells are manufactured out of thicker metal than strain gauge load cells and use . This means that the load cells are able to provide accuracy at higher capacities than standard lab scales. Our Ultra Precision Scales start at 10 lbs and go all the way up to 500 lbs. Should you require a very high capacity, we offer crane scales that have capacities up to 10,000 lbs and floor scales that have a standard top capacity of 20,000 lbs, but can be customized for even higher capacities or augmented to suit unique weighing circumstances. Both our SAW load cells and strain gage load cells are manufactured out of extremely durable materials. Many standard strain gauge load cells use aluminum because it is easier and inexpensive to tool. However, these aluminum load cells are far more vulnerable to shock loading (dropping a weight from a height on to the scale platform) and over loading (placing a weight on the platform beyond the scale’s capacity.) This leaves the load cells susceptible to damage, which can affect the accuracy of the scale or take it out of commission entirely, costing you money in repairs and downtime. Our tougher load cell material helps minimize this possibility. Most standard scales use sheet metal for frame construction. We use a welded construction that can consist of aluminum, steel, stainless steel, or a combination of these materials. This rugged construction allows greater resistance to corrosion and rust. We also manufacture the scale platform out of aluminum or stainless steel helping minimize damage to the platform when exposed to harsh chemicals. Should you require one of our floor scales, we can offer either a zinc rich galvanized model (standard on steel floor scales) or a triple epoxy with mica particles (offered on stainless steel models). These epoxies provide a protective coating to further minimize corrosion and rust. The zinc epoxy is particularly helpful in containing and controlling rust. Regardless, of your choice, our standard stainless steel load cells or SAW load cells will provide you with precision measurements. With our larger scales, we use four load cells with each scale and make sure the load cells output match before adding them to the scale, thereby eliminating a need for a summation board, which is the leading cause of failure in scales. With our cutting edge electronics coupled with the load cell, you are guaranteed to have highly accurate results and a scale that lasts. With the advent of our SAW technology and SAW load cells, ultra precise accuracy is achievable at extremely high capacities. If you work in the pharmaceutical, chemical, medical, or scientific fields where you need extremely accurate results, our Ultra Precisions scales are just what you need with a resolution of up to .0001 pounds and capacities ranging from 10 to 500 pounds. Thanks to computer technology advancements, we are able to supply you with options that will allow you access to scales either connected or operated remotely from an offsite location. Our USB optionuses a USB connector cable that interfaces your PC or laptop with the scale. You will be able to monitor the scales, issues commands, and extract weight data all from your computer. Once the weight data is on your computer, you will be able to analyze it using MS Access or MS Excel. Our Ethernet and Wi-Fi options will let you do this remotely. You can have the perfect scale to fit your needs, but if it won’t fit in your workspace, you have got a problem. We offer scales that have platform sizes starting at 6 x 5.5 and scales with platform sizes at 7 x 9 x 4. Clearly, not every scale can have the largest platform, but we can customize a platform for your scale that is as form fitting to the scale and its environment as possible. The customer comes first in our book. We make sure we understand your needs and offer you a tailor-made solution that is affordable and meets your needs. Our highly trained and friendly staff is standing by and ready to assist you! Reach us online by using the form on our Contact Us page or call us at (800) 645-4301.